The Ministry of Commerce yesterday held a meeting with the Supreme Consultative Council to discuss a sub-decree to regulate advertising for alcoholic products. The goal of the sub-decree would be to minimise the negative effects on society of advertising alcoholic drinks, particularly when it comes to fraudulent advertising. 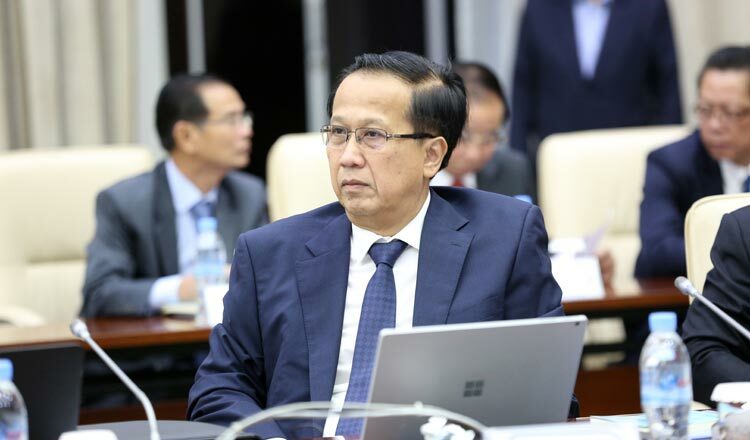 Seang Thay, Ministry of Commerce spokesman, said yesterday’s meeting focused on the negative impact alcohol ads can have on Cambodian society and sought to decide on whether such a sub-decree is needed. “We don’t have any kind of regulation on this issue yet. The system that we have in place [to regulate alcohol ads] is not effective, as people continue to abuse alcohol, which often leads to violence. “We want to make an effective law, but this will take time, so first we believe we must prepare a sub-decree,” he said. According to Mr Thay, the Supreme Consultative Council agreed that issuing a sub-decree before drafting a law on the subject was a good move. “We will continue to work on the issue after Khmer New Year. We will begin work on the sub-decree soon,” he said. Mr Thay clarified what such the sub-decree would address. “It wouldn’t ban alcohol advertisements. What it will do is ban ads that are false or dishonest,” he said. He said the sub-decree may include a clause stipulating that ads must be approved by the Ministry of Commerce before they can be aired. Dr Mom Kong, executive director of Cambodia Movement for Health, said on Sunday that alcohol ads’ attractive messages and prizes are the main factors leading to an increase in alcohol consumption among young people. He called on the government to regulate alcohol advertising. “Alcohol advertising is the main reason why people consume a lot of alcohol and even start drinking at an early age,” he said.